The Ford F-150 was introduced in 1948 and holds the distinction of being the best selling truck in the US for the past 42 years. (Think about that for a moment.) It is also recently became the first production truck with an all aluminum body. Of course, beauty is more than skin deep. Ford designed this vehicle to be rugged with very durable axles. The most common sound indicating an axle shaft has seen better days or needs repair is a loud clicking noise when turning. This is usually due to a bad CV joint. The noise is caused by loose joints that click against each other. They usually become louder during sharper and faster turns. Grease on the inside sidewall of a tire can be another tell-tale sign of axle problems. An inspection can also discover it along the vehicle’s underside. Torn boots can leak grease. As the axle turns, it flings grease around. Damaged boots usually mean there is a CV joint about to fail. The tear in a boot allows dirt and moisture to get inside where they will eventually damage the joint. Excessive vibration from the CV axle can also be a sign of impending trouble. 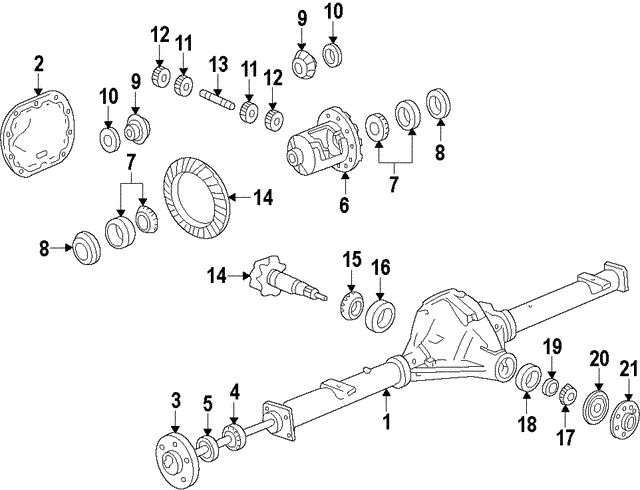 If you suspect that your axle needs repair or fixing, it is highly recommended to take it to a qualified mechanic. While backyard mechanics can do a good job on certain repairs, the axle shaft is challenging to remove. If a rear wheel bearing fails, it will usually make a low pitched howling sound. If it gets bad enough, the truck may pull to one side. Differential gears whine when they begin to fail. Sometimes a rear axle shaft will get bent right where it exits the axle tube. If this happens, the rear wheel will wobble as it turns. If you think your axle or axle shaft is going bad, check to see if your vehicle’s powertrain warranty is still active. New Ford F-150 vehicles come with a factory warranty of five-year/60,000-miles for the powertrain. This will provide coverage for the transmission, engine, and more. Roadside assistance that includes towing and other services is also desirable. Your Ford dealer can provide more information.